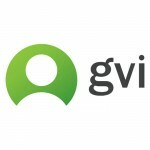 Global Vision International (GVI) is multi-award winning volunteer organisation that runs conservation and community development programs around the world. A key component of the success of our projects comes from the participants who join our programmes. Our main focus is making a real, positive impact in each community that we work in. Formed in 1997, we have received over 20,000 participants and receive over 2000 participants every year. We have won numerous awards and are very proud that the vast majority of our participants describe their experience with us as life changing, with an over 95% approval rating. We are a family run organisation with an amazing culture and have a passionate team of people all over the world who are true experts in their chosen field. They are the people who will make your experience with GVI truly life changing.